In a chat with Fandango, Amell opened up about what it might take for his small-screen version of the Green Arrow to get rolled into DC’s larger plans on the big screen, noting that he has actually been contacted and those conversations have/are taken/taking place. That's obviously not confirmation that it's happening, but it is the first confirmation that it's even being seriously considered. But, along with that revelation, he also prefaced that the Justice League film is still a long ways out — especially considering that we now have to wait until 2016 to even see Batman vs. Superman. He also noted that the TV show has to remain a critical and (for The CW standards) commercial hit, or else it's a moot point all the way around. Admittedly, as Amell notes, things are still in the very early stages at this point. But it’s fascinating to know that Warner Bros. and DC are at least considering the option of rolling the world of Arrow into the Man of Steel-verse. 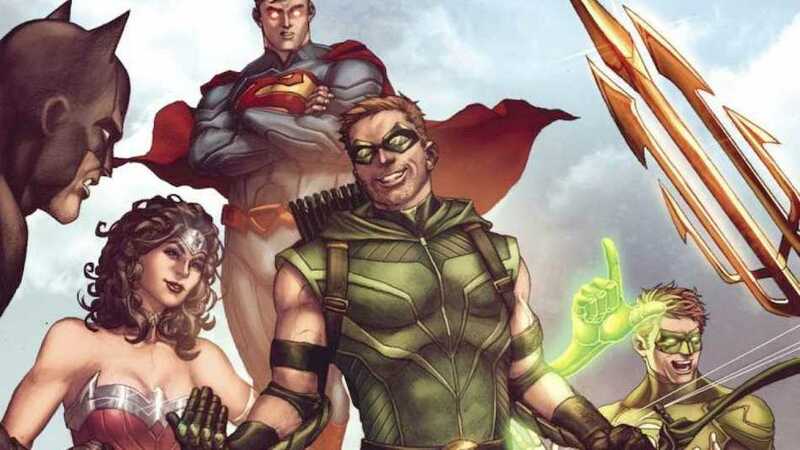 Arrow has gotten its sea legs and is currently telling some of the best superhero stories on television, and the tone would be a solid fit with what Zack Snyder has already done. Who knows, with everything from Constantine to Gotham in the works, maybe DC is using that extra year of development on Batman vs. Superman to put together a massive plan that will really blow our socks off. Or, you know, maybe they’re just thinking about throwing stuff at the wall to see what sticks. What do you think? Could Arrow go toe to toe with Batfleck and SuperCavill?